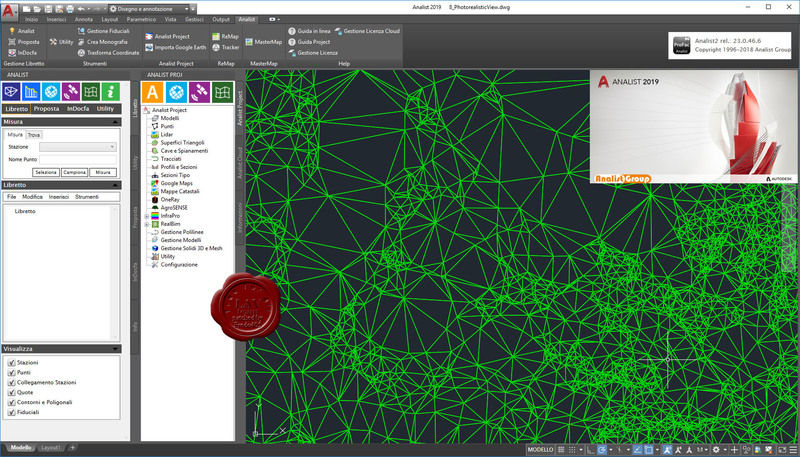 Analist 2019 creates Cross Sections and Profiles, Contour Lines and Orthomosaics. Analist, highly performing software, imports data from Ground Total Stations, GPS, Google Earth. Analist 2018 CLOUD is the best tool for generating survey from flights with Drones. It superbly executes point clouds management, aerial imagery processing, survey data management, excavations, cut and fill, and much more. With Analist 2018 you will work with a Professional Autodesk licensed CAD.